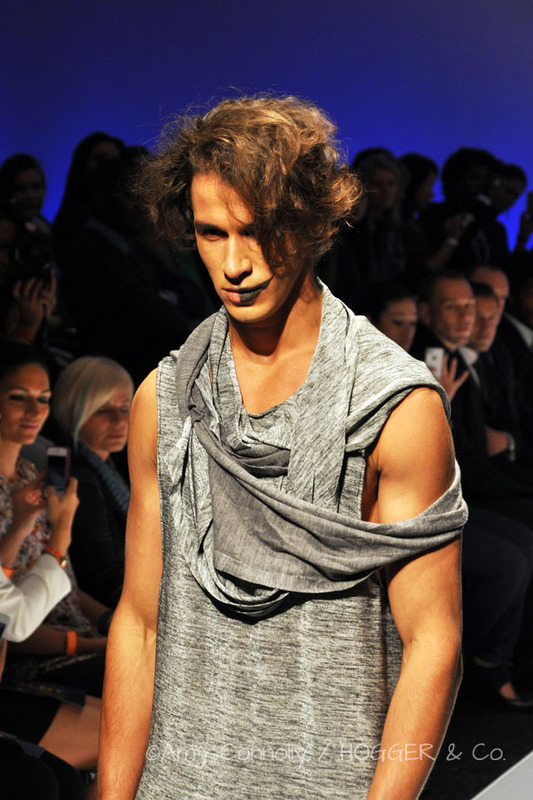 Here's a recap of Sundays shows at Boston Fashion Week's The Tent. All photographs by Amy Connolly for Hogger & Co. 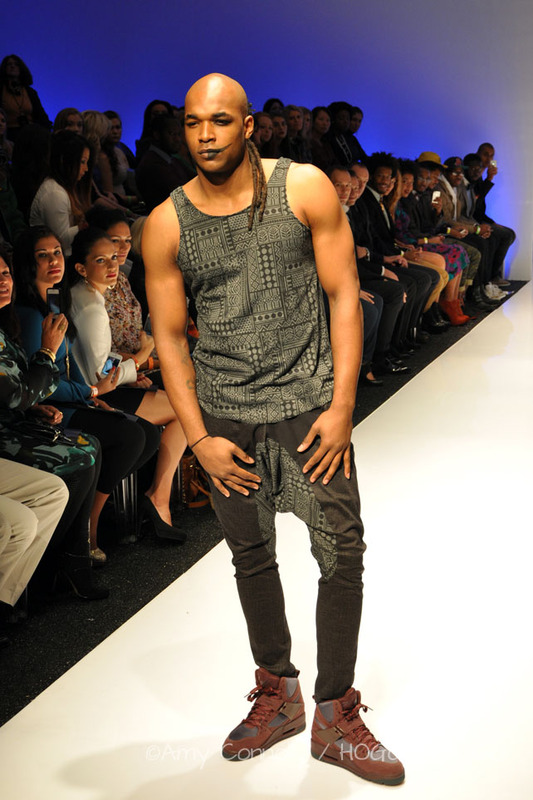 The Launch showcases up-n-coming local fashion design graduates who have been selected as the "new designer to watch". This year, the designers selected were Achk Kombana, Jennifer Miller, Danielle Fernandes, Rei Hyun Lee and Tatiana Cuevo, each with very unique styles. Next up was Mark Cordell's Tru Fiction collection: edgy and rebellious and with lips painted in half smiles reminescent of the Joker. Playful, daring and androgneous. Emily Muller is another designer I met here, and her collection is ultra feminine, flowy and beautiful. With hair piled high in birds nests, the models rocked the runway in leather, chains, a bit of tweed and a sprinkling of badass.